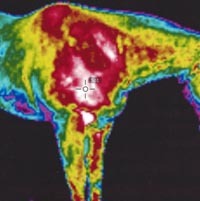 Thermal imaging uses new advanced infrared technology to detect heat and inflammation. 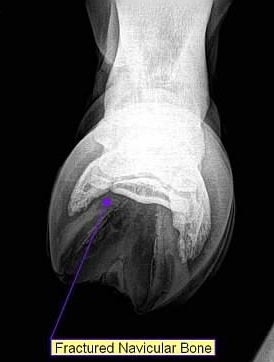 It is an excellent tool for those tough lameness's and soft tissue injuries. 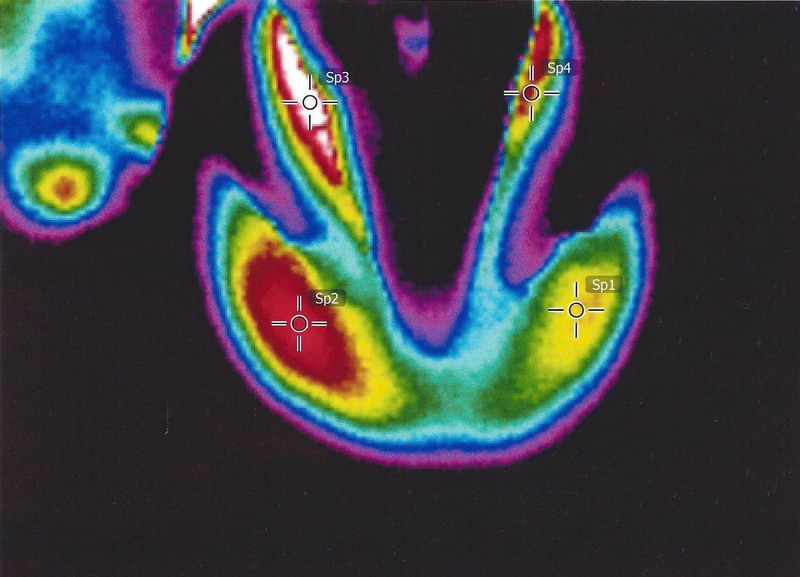 We have been using thermal imaging since 1988. 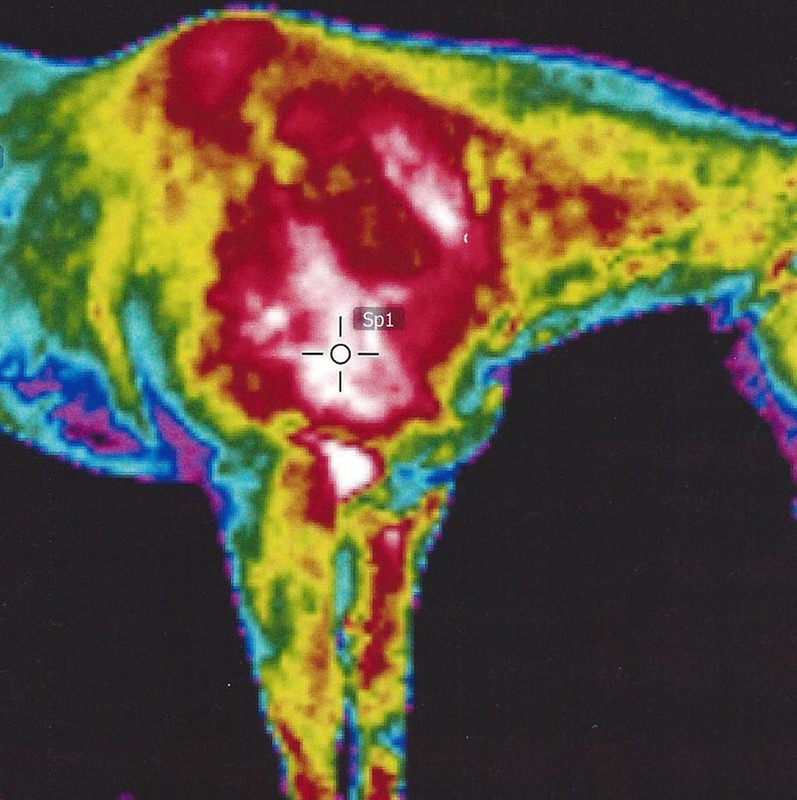 At times we may cool the horse or an area with a cold water bath / hose then watch for heat to radiate out from deeper structures. 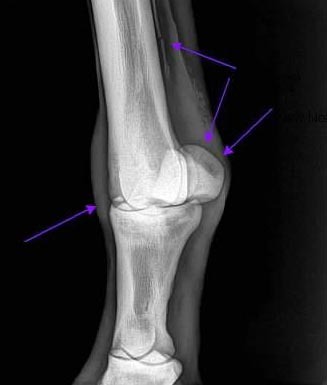 We watch for symmetry comparing side to side right leg to left leg etc. 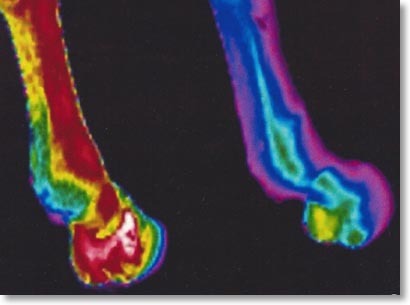 We consider greater than 2° F difference as usually significant. 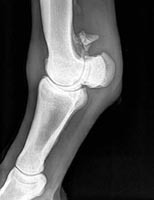 It is important to know anatomy and circulation patterns for areas. 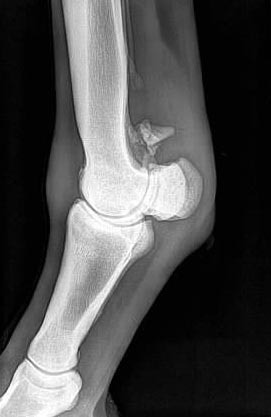 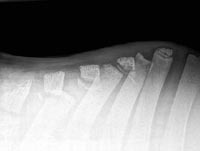 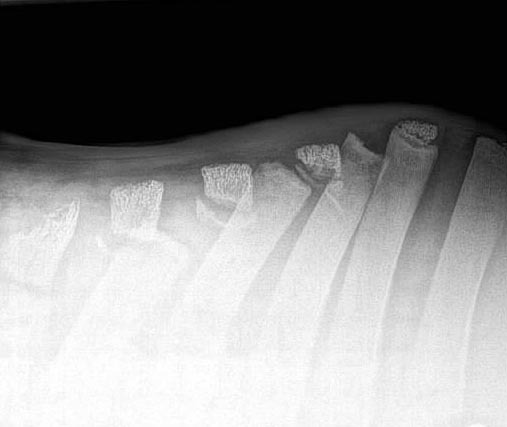 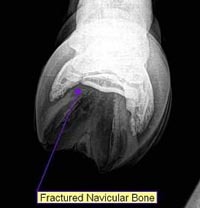 At times, areas such as tendons may begin showing heat or inflammation up to 2 weeks prior to developing a lameness. 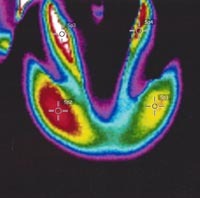 With thermal imaging, changes in circulation may be noted even before lesions can be confirmed by ultrasound.